Staying on top of your ASC’s performance is critical to improving operational efficiencies, driving revenue growth, and achieving quality patient outcomes. 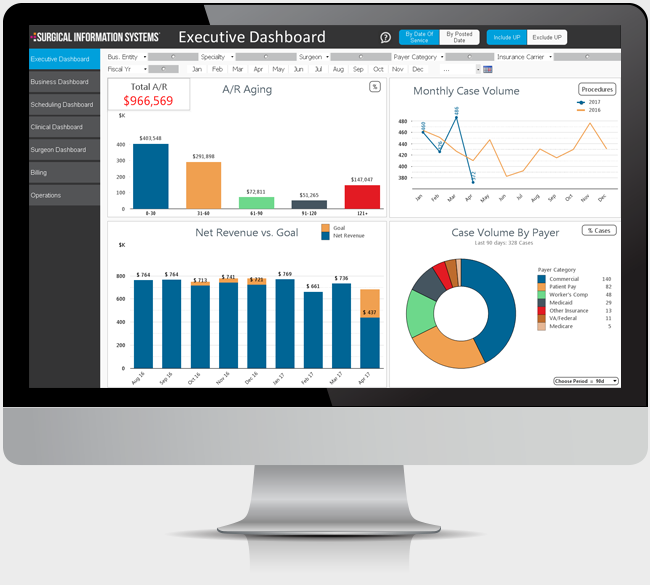 SIS Analytics puts actionable data at your fingertips, helping turn insight into action to drive improvements for your organization. Drill down into metrics with just a few clicks to discover the root cause of financial, operational, and clinical performance. Low cost of ownership, minimal hardware, and low maintenance with web-based access available on any device. Role-based dashboards provide each member of your staff with the information they need to perform their role more effectively. Use the form on the right to get a demo!